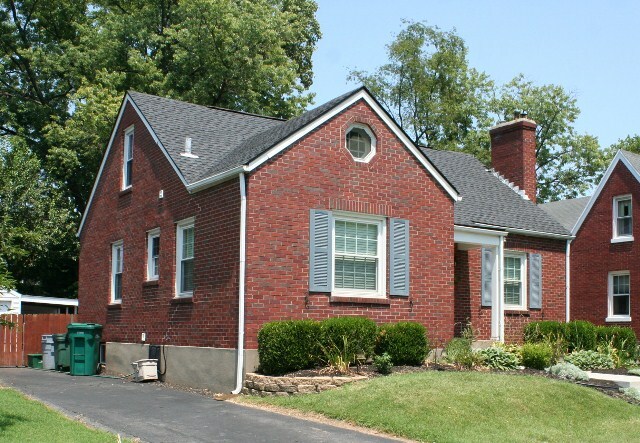 Locust Creek Homes are an exclusive neighborhood of luxury homes in far eastern Jefferson County. One of the newest areas of luxury homes is in “The Estates of Locust Creek” and that is the subject of this article. Every so often, someone falls behind on their house payments and even luxury homes go into foreclosure. The latest casualty was at the Jefferson County Commissioner’s sale of July 10th. As I drove up to the house the next day, I could see that the rear door was ajar. 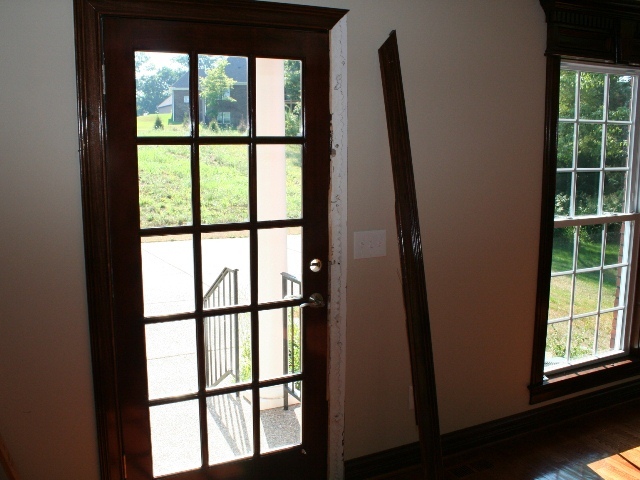 It is apparent that there is forced entry by breaking the door jamb. This will cause delays starting with a police report and getting an insurance adjuster to investigate. I knew then that it was going to take a while to get this house on the market. After I opened the door, I see that all of the kitchen appliances are missing. This house was initially listed at just under a million dollars, so all of the appliances were high end. We ordered new GE appliances from Home Depot including a 36” gas cooktop and a General Electric French door refrigerator made right here in Louisville KY. While we are on the subject of missing items, I am always amazed at why people would take something as simple as switch plates when they vacate a house. I don’t have enough fingers and toes to count the number missing. This is not a big thing, but surely an aggravation. 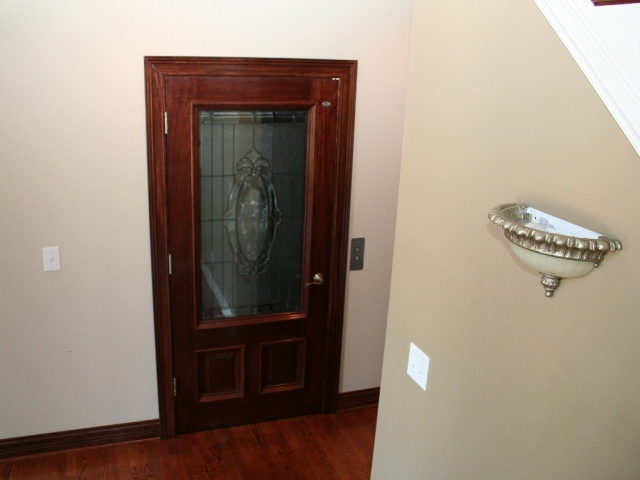 In some of the Louisville Luxury homes, you will see an elevator. This one did not work, so I called Executive Elevator, and they arranged a visit. It turns out that we needed a new battery charger and batteries to run the electronics. Feel free to contact Tim Hollinden at 502-429-3866 if you would like more details on this luxury home. We should have this listed on The Hollinden Team website very soon. 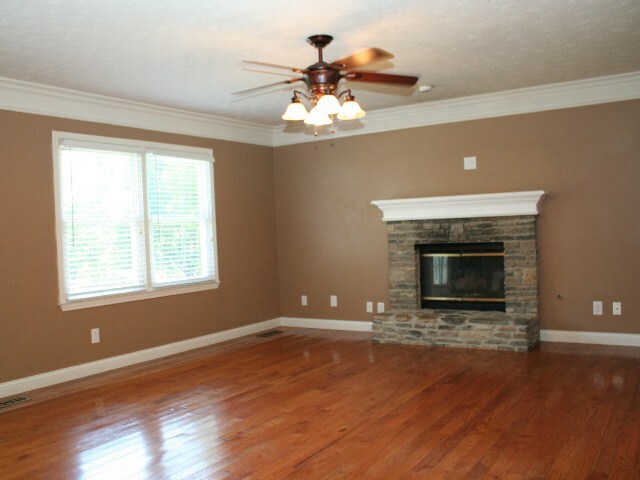 This executive home is located in Louisville MLS area 8. If there is interest in other Foreclosed homes for sale in Louisville, we have a search set up for you. Our newest listing is 4652 Shenandoah Drive in Brooks of Hickory Hollow. We have found the housing market in the northeastern end of the county to be recovering faster than other parts of Jefferson County and are excited to have this listing. This home appears much larger than it looks from the street as it opens up inside. And, there have been improvements in all areas of the house since the sellers first purchased the house. The husband is quite the handyman and has done a great job. This home is not currently on the market. Contact the Hollinden Team about this home’s history and other houses in the area. They purchased the house in late 2006 and started their renovations. The first thing of consequence was a new roof and eliminating the carpet in 2007. 2008 brought in a new 3-ton A/C unit. 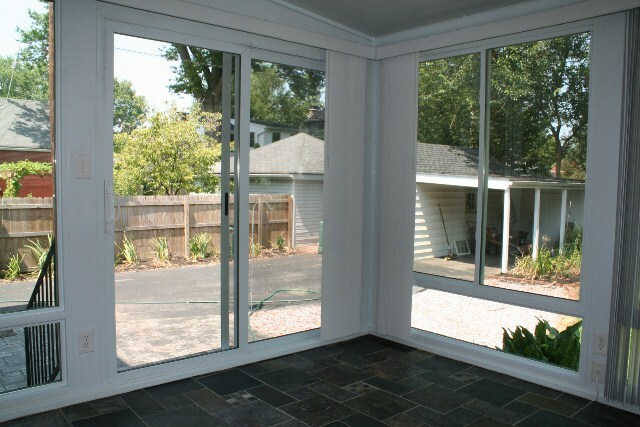 Once the air compressor was installed, they upgraded to new Pella windows. Both bathrooms were remodeled with ceramic tile floor, vanity tops, and bath surrounds. They also put whirlpool tubs in both. Their last update was a new electrical service panel in 2011. There was some concern about allergies and all of the carpet was removed. 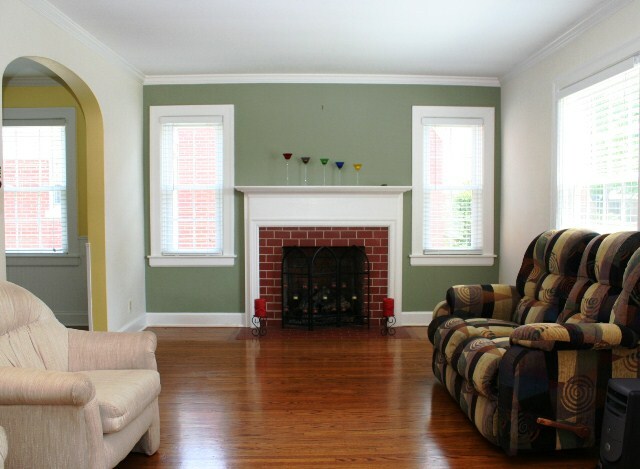 In the great room, you can see the hardwood floors and stone fireplace that has been converted to gas. The hardwood floor was extended to the first floor master to finish the look. The entire upstairs has a nice looking laminate floor. 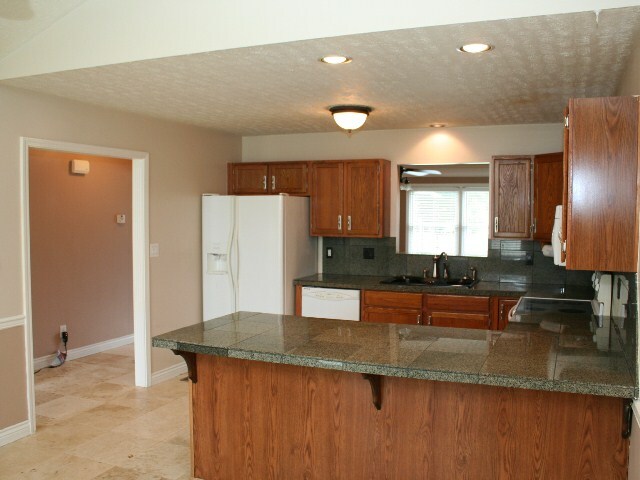 Travertine Tiles welcome you on the entry and flow into the kitchen and dining area. 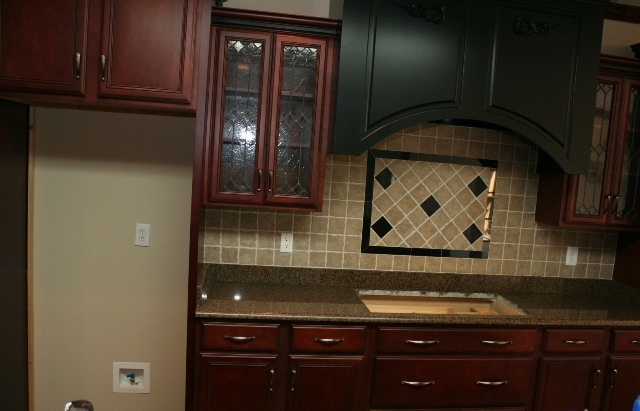 To make the kitchen pop, the countertops were replaced with granite tiles. The dining area lets of light shine in with its Palladian window. We made a video of 4652 Shenandoah Drive Louisville listing with our FLIP camera and you can find it on YouTube. It gives a different look than still pictures. There are a lot of Open Houses in MLS area 9 each weekend and we have made it easy to see Open Houses in Louisville MLS Area 9. In Area 9, you will find the Ford Motor Truck plant along with several other businesses. 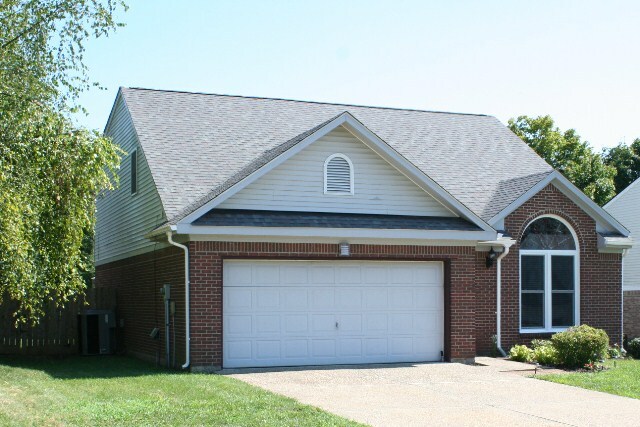 Feel free to call Tim Hollinden at 502-429-3866 to set up a showing of 4652 Shenandoah, Louisville KY.